People consistently describe their vicarious experiences with nursing homes - "my grandmother this...", "my great-grandfather that...", "my girlfriend's nana this...". How many of us have spent a lot of time in a nursing home? Honestly, and perhaps obviously, the population most affected by nursing home care is not out in public talking about their experiences because they live and spend most of their time - maybe all of their time - at the nursing home. The nursing home is meant to, and largely does, function as a self-sufficient community. The residents get three meals a day and snacks, most doctors and specialists come to the home, and maybe once or twice a month a small group of the more independently mobile individuals will go on an outing. Long-term residents live in the nursing home, but a lot of people know someone who has passed away in a nursing home and associate nursing homes with this experience. In this way, people who have never had anything other than this vicarious experience with nursing homes think of them as a place to pass away, or a place for the ill. Consequently, a stigma is born. This stigma is at odds with the new culture many nursing homes corporations are perpetuating. Today, many corporation-owned nursing homes market to baby-boomers. There are two big ones: FutureCare and ManorCare. These folks are talking over the Maryland market. These for-profit corporations routinely target Medicare recipients who may need a knee replacement, a hip replacement, or post-stroke care. These corporations are riding this Silver Wave by spinning nursing homes as short-term rehabilitation centers and touting resort-like stays filled with post-surgical recovery conveniences only available at facilities that specialize in twenty-four hour care. They use their physical therapy programs to lure baby-boomers, have renovated their "short-term" wing to be more appealing (though there is no guarantee a new patient will be put onto this newly renovated wing when they arrive at the center) and have invested in professional photography and design to offer virtual tours on their website. They task their staff to get testimonials from patients before they leave the center and take these testimonials back to the hospitals, doctors and patients they are also targeting. There are 16,100 nursing homes in the country with a total of 1.7 million beds. There are 240 nursing homes in Maryland with 30,000 bed. Florida has more than three times that amount. You would think Florida has the most nursing homes. But it is Texas, followed closely by California. It is a business that is not short of customers. There is an 86% occupancy rate. The average nursing home resident stays for 835 days. Why so short? Sure, some die but what drags this average down is people who are staying for a limited period of time to recover from injuries. Marketing is a priority of all managers at the nursing home, and there are set quotas for the marketing team to meet. Some nursing home corporations incentivize their Nursing Directors and Administrators (top level management) with monetary bonuses if they meet and/or maintain a certain census. The census in a nursing home is comprised of tallying the available beds in the center and setting a goal number for beds to be allotted to Medicare patients, insurance or managed care patients, and Medicaid patients. Because Medicare offers the highest reimbursement rates, most census goals hinge on their Medicare numbers. The priority is to get "heads in beds" but the best "heads" are those that have Medicare. This is how the nursing homes make decisions on how to admit people - and in fact nursing homes may say they have "waiting lists" for Medicaid patients who genuinely need twenty-four hour care on a long-term basis versus a Medicare patient who has had a surgery and may need additional help for a few days. Imagine the surprise when baby-boomers agree to recover at a fancy rehabilitation center only to find out that they actually agreed to enter a nursing home. You can put lipstick on a pig, but, at the end of the day, it's still a pig. Here is where over-promising meets under-delivering head on: the staff and culture of most centers have not caught up to the marketing. So, while nursing homes employ vast resources to market their product to the community, the very staff responsible for providing the marketed service is unprepared to deal with the promises that have been made. The nursing staff may not be trained to deal with the specific needs of knee replacement patients or post-stroke patients during their critical recovery phase. This creates an internal tension between nurses and physical therapists. This tension is furthered when the patients realize, or feel like, they have been duped. Baby-boomers especially see it understandably as an affront to their dignity to be "put" into an "old person's home" and readily point out the reasons they don't belong there. Our society is embracing the idea that sixty is the new fifty, and baby-boomers see themselves as enjoying the prime of their lives. The stigma attached to nursing homes is too much for many to overcome. In some circumstances, this leads to situational depression and feelings of abandonment by loved ones who could not meet the demands of caring for their family member post-operatively. This clash between what is expected and what is delivered creates fertile ground for a deluge of complaints and hostility towards staff members. These short-term patients, who are typically baby-boomers, suffer a further affront when they realize they cannot come and go as they please but must stay at the center around-the-clock until discharge. Medicare can be billed up to 100 days - some patients will stay a full 100 days at the center depending on their individual goals. However, to continue qualifying for twenty-four hour skilled care, patients cannot be too independently mobile and so cannot go on a lot of outings to the community or return home for long stretches of time. Allowing a patient to do this while billing their Medicare Part A puts the home at risk for fraud, the reason being that a patient who can go home for extended periods of time does not need around-the-clock care, and physical therapy can be provided in-home post-discharge. Many patients wish to leave much sooner than the center is willing to part with them. The center staff will have a protracted discharge plan that conflicts with the patients expectation of a "few days" to recover. Most patients, having prepared for surgery with their doctor, have discussed their post-operative needs and length of recuperation. 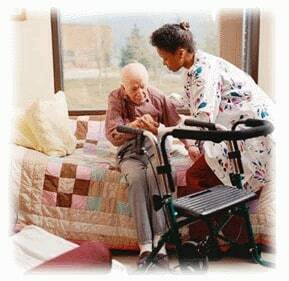 However, because nursing homes are an encapsulated and self-sufficient environments, the patient's doctor is not heavily involved in their care once they are admitted because nursing homes have their own attending physicians. Patients may have the mistaken impression their doctors will see them at the center, but this only occurs in the rare circumstance where the doctor is also a center-physician. Again, patients may become depressed because they feel cut-off from their former lives. As they recover, time suspends itself inside the nursing home, though outside the world keeps on turning and they may miss birthdays and holidays and experience a completely different post-operative experience than what they were prepared for. This bait-and-switch marketing tactic - which is what it is - breaches the trust a patient must have with their care-providers. The nursing home staff is expected to provide quality care and this is the very least of what was promised. Yet after a hurtful and deceptive first impression, the next few weeks may be spent slowly earning back trust. Again, an internal tension is created because the person who promised the patient the moon was just a marketer doing their job, and the reality is they will not be involved with the person past their admission to the center. The rest of the staff resent the burden placed on them by promises a co-worker made on their behalf. This leaves no opportunity for meaningful discourse among the center's management about remedying these deep seated issues because the bottom line, like the sun, always comes up and rules the day. 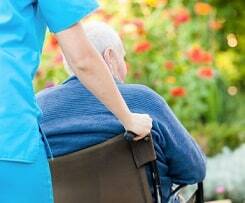 Nursing Home Lawsuits: Do You Have One? If you need to know whether you have grounds to bring a nursing home medical malpractice case, contact us at 1.800.553.8082, or get a free online evaluation of your potential case. Our experienced Maryland nursing home attorneys will evaluate the conduct of the nursing home employees, and let you know - one way or the other - if your loved one's injury or death was preventable. Explanation of the progression of a nursing home lawsuit in Maryland? What is the average value of a nursing home lawsuit in Maryland?